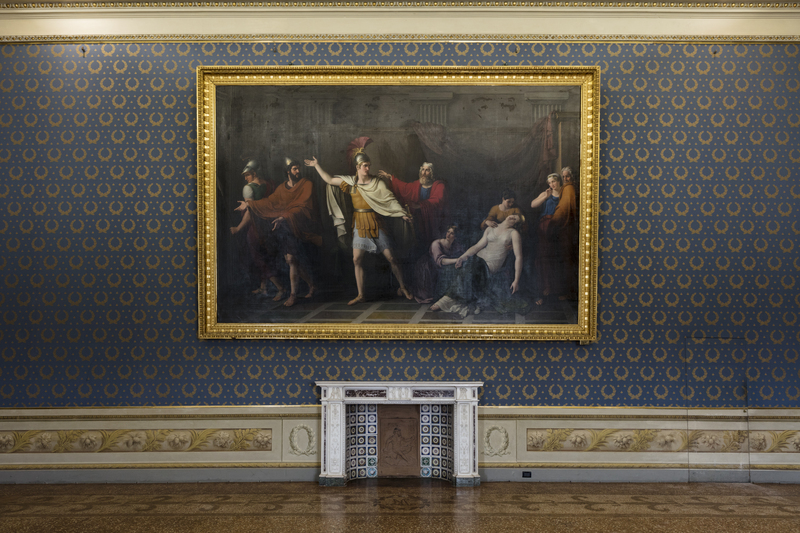 Martellini at its centre, who is known to have decorated the walls in Palazzo Pitti in Florence. 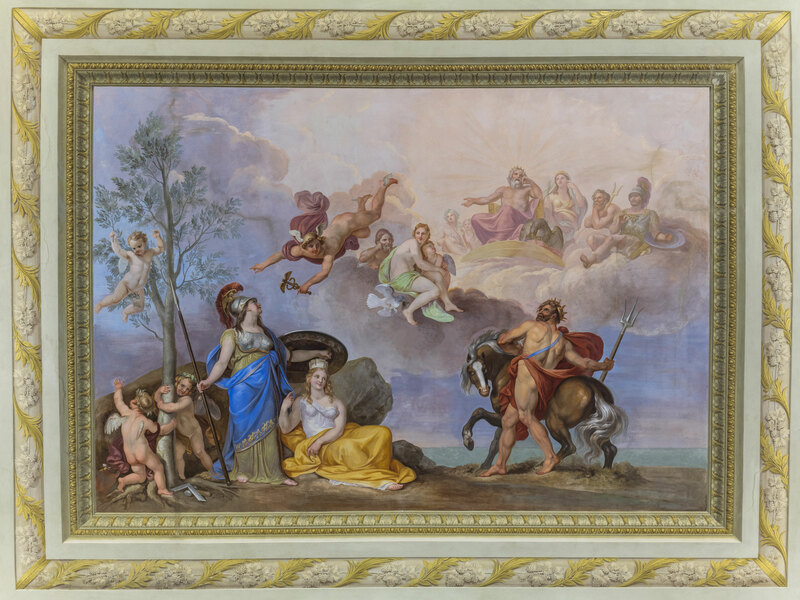 This narrative painting depicts the “Dispute between Pallas Athena and Poseidon on the Name to be given to Athens” and alludes to the unity between the King, the Ministers and the People in decisions relating to affairs of State. A floral festoon frames the scene. 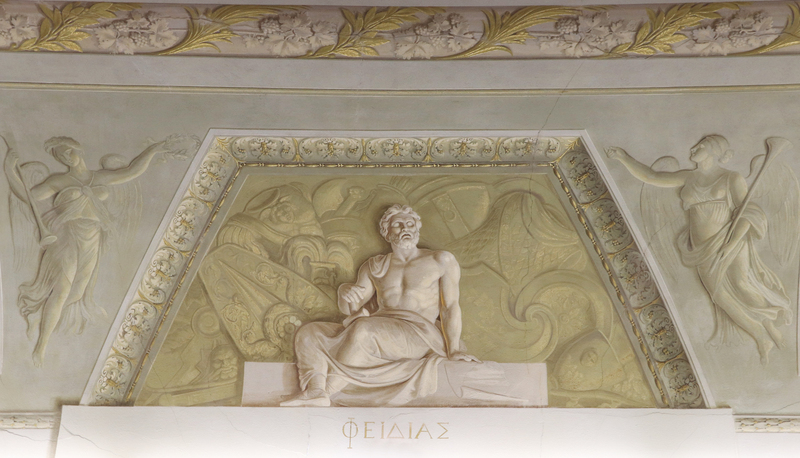 The four monochrome figures at the sides represent: Pericles, the statesman; Plato the philosopher; Fidius the artist and Solon the legislator. They are accompanied by pairs of winged victories. The fireplace is made of white Carrara marble. 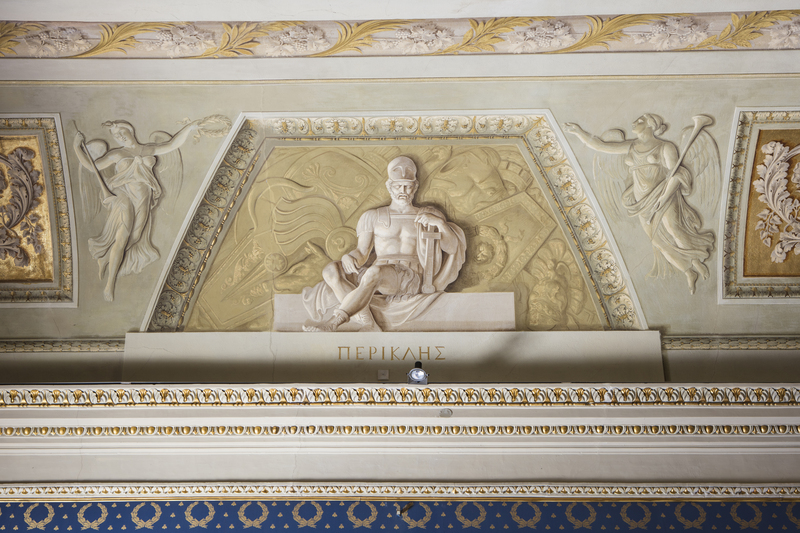 In the architrave, bas-relief alternates with porphyry mirrors and three cupids sculpted in white marble with a trumpet, a chalice and Panpipes, with pairs of wrestling cupids at the sides. The candelabra with grotesques on pilaster strips are deriving from the sculptures of Stagio Stagi in the cathedral of Pietrasanta. A large painting depicting a scene entitled “Pirro leaves for the Trojan war” by the artist Raffaele Giovannetti (1788-1885). The walnut wood doors are decorated with delicate bronze racemes and lion heads in relief.